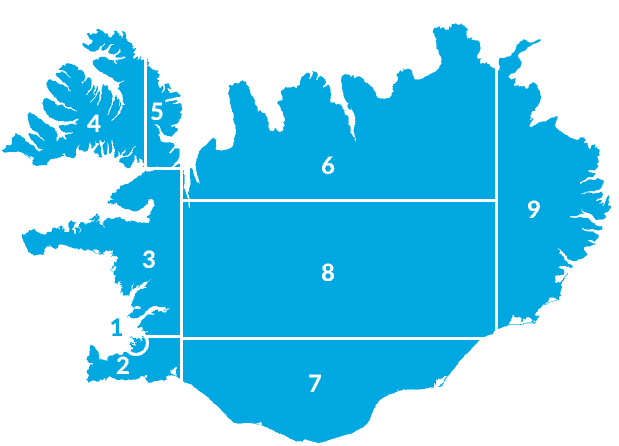 From Reykjavik through Vik, Skaftafell, Klaustur to the Clacier lagoon along the South Coast. Vik is the southernmost coastal hamlet of the country and the only one without a harbour. The flat, black beach south of the village was declared one of the 10 most beautiful island beaches of the world by the Iceland Magazine. 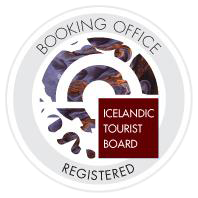 There are many possibilities for recreation in Vik and its surroundings, bird watching, hiking, glacier tours etc. The second national park, Skaftafell, established in 1967 (400-500 square kilometres), contains some of the most precious natural pearls of the country. The rugged landscapes, mountains and glaciers, the flora and the fauna have a magnetic influence on the visitors.In 1984, it was increased in area (1736 square kilometres) including a considerable part of Glacier Vatnajokull. In November 2004 the area of the park was still increased to 4,807 square kilometres. It now comprises the Laki Area as well as about half of Euorpe’s largest icecap, Vatnajokull. Before the hamlet started developing at Kirkjubaejarklaustur the land was the property of a big farm called Kirkjubaer. In 1186 a convent of the Benedictine order was established and the conventual life continued until 1550, when the Icelandic people were reformed. This area contains a few of the most beautiful natural phenomena and landscapes of the country and offers some recreational opportunities, salmon and trout fishing, hiking possibilities, historical sites, sightseeing etc. Services rendered to the visitors are as good as they get, a nice hotel, sleeping bag accommodations, restaurants, camping grounds, a swimming pool etc. After the establishment of Europe’s largest national park, Vatnajokull, on June 7th, 2008, Kirkjubaejarklaustur became one of its visitors’ centres. The Glacier lagoon is told to be one of the greatest wonders of Iceland’s nature. The lagoon is not that old and is likely a result of a warming climate. The surface is at sea level and sea water flows into the lagoon at high tide. Huge blocks of ice constantly break off the glacier and float on the lagoon. The lagoon is not very wide but it is up to 250 meters deep which makes it the deepest lake in Iceland.